The Davao City Mayor sees this as a possible solution to the country's unemployment rate, as it will generate more jobs for the public. 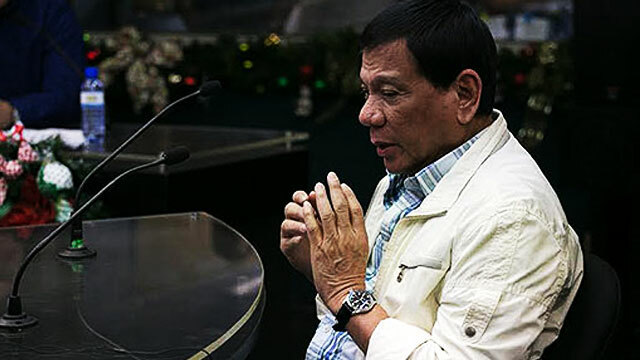 Presidential aspirant and Davao City Mayor Rodrigo Duterte said he was willing to lease some of the country’s islands to foreign firms and other multinational companies if he was elected. Duterte believes that this will allow the country to grow, particularly in the economic aspect along with the overseas Filipino workers sector, Philstar.com reported. "If we can lease our land for military bases, why not lease an island to create our own version of Hong Kong, Taiwan or Singapore? The jobs will come here. Going abroad must be a choice, not a necessity," he told radio DZRJ in an interview. "We have over 7,000 islands. Let's lease one island or islands to them and let them create their own police force, rules, ports, roads, power plants, steel mills, petro chemical plants, their own offices and telecoms and wireless Internet connections, subject to their own rules," he added. Duterte sees this as a possible solution to the country's unemployment rate, as it will generate more jobs for the public. He also pointed out that one of our Asian neighbors have surpassed the country, thanks to this method. "Multinationals have gone to Vietnam. War-torn until recently, Vietnam has overtaken us and is launching two integrated steel mills in 2016 and 2017 with an output of four million tons," he said. But Duterte clarified that to ensure the country's interest, foreign investors will still be bound to Philippine laws and regulations. He said foreign investors will be asked to relinquish ownership of all infrastructure built on the islands to the Philippines after a period of 50 years. "From the 51st year to the 99th year, they will pay rental for those buildings and infrastructure from the Philippines, thereby creating the country's income," Duterte explained. The feisty mayor is among the leading presidential aspirants, getting the second spot with 23 percent in the latest Pulse Asia survey conducted from December 4 to 11, 2015. Vice President Jejomar Binay topped the list with 33 percent, after lagging in other surveys for the past months.